You know the drill, on a sunny morning you put your daycream, sunscreen and makeup and you're ready to go out. But it is proven that after two hours your spf needs to be re-applied. How do we put sunscreen after our makeup? I'm writing this blogpost because I got a comment on my previous blogpost that was interesting. My lovely follower, Christine (who also has a blog), asked what you should do after your makeup. It is not practical at all to remove your makeup after two hours, re-apply sunscreen and start all over again. The fact is we we still need to be protected. So I will give you guys some options to re-apply sunscreen after your makeup. There are several options to apply sunscreen over your foundation. I use these sprays a lot and they are available in different spf's. 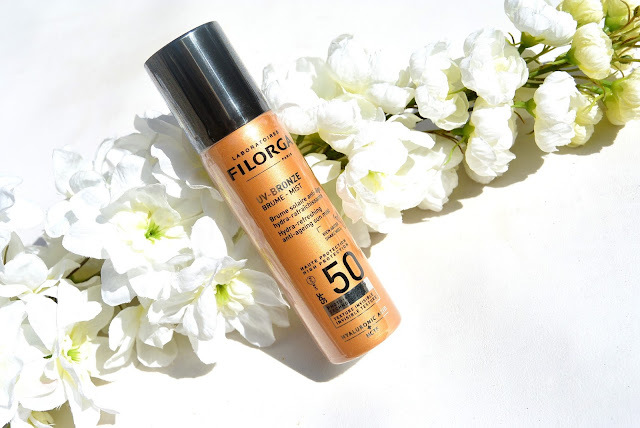 I have a SPF30 by Lancaster and a SPF50 by Filorga. They are clear mists, comparable to mists like a setting spray or a refreshing spray. You just need to spray them over your makeup and you're protected for the next 2 hours. There's nothing easier to me than these sprays. 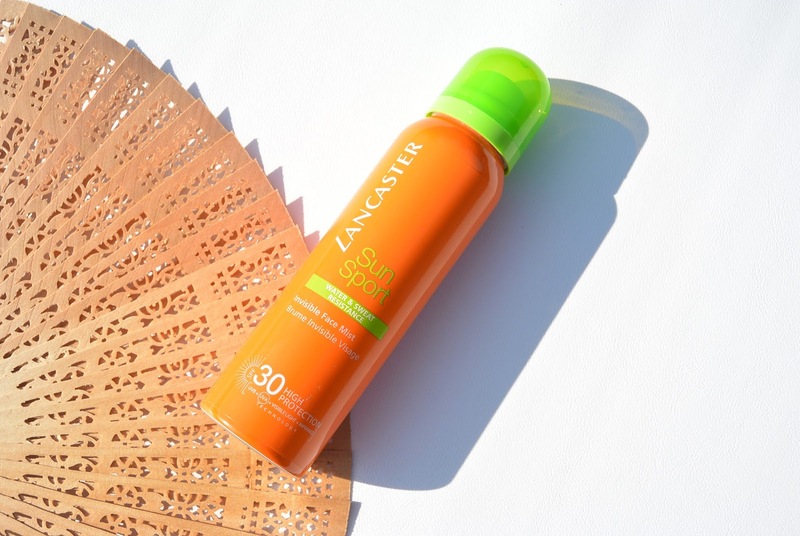 Do you put on SPF troughout the day? Nooit eerder gedacht aan zo'n spray, erg handig!